Congratulations, winter-weary Seattle. We made it. Let’s celebrate the arrival of April with six urban hikes guaranteed to deliver a fresh taste of spring — no fooling. 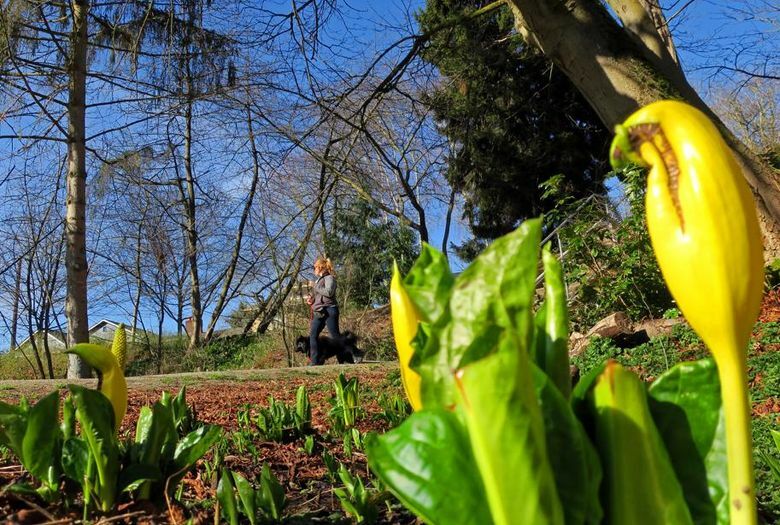 Seattle has hundreds of spectacular spring walks. Where to start? We interviewed four guidebook authors and came up with this essential list. Route from “Seattle Walks: Discovering History and Nature in the City,” by David B. Williams (2017, University of Washington Press). 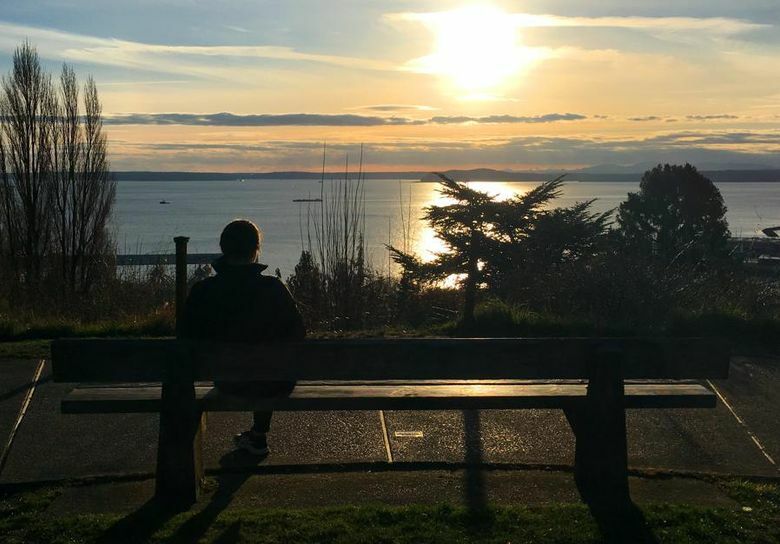 Description: Starting at Alki Playground and Whale Tale Park, walk southeast to Schmitz Preserve Park, climbing steadily along a surprisingly wild stream through forested hillsides to a high point in one of West Seattle’s most view-worthy neighborhoods. From there you can walk south to the lush Me-Kwa-Mooks Park, then back north along Beach Drive around Alki Point past where the colorful Seattle pioneer Doc Maynard once lived. Highlights: Schmitz Preserve Park, a 53-acre enclave amid the development of Alki, is a hidden gem. “It’s a great springtime walk,” Williams said. “You get into Schmitz Preserve and it feels very far removed. 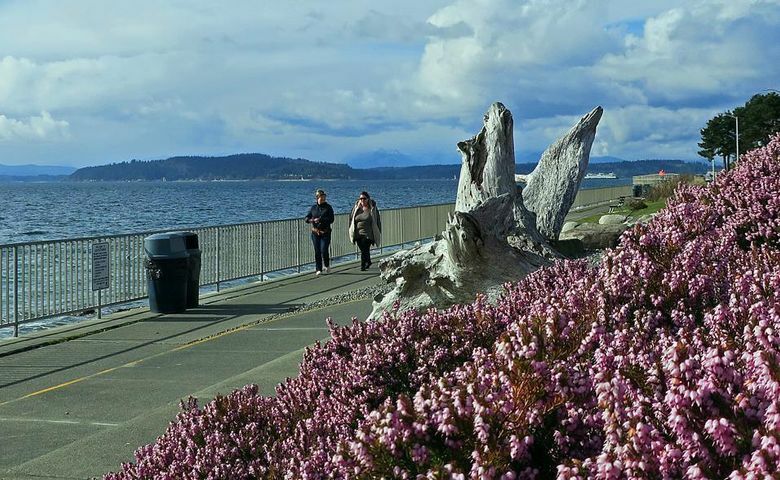 The trees are leafing out and you get that bright green spring color of the new growth.” Once out of the preserve, the natural beauty of the West Seattle coastline around Alki takes over. Route from “Seattle Walks” by David B. Williams. Description: Starting at Green Lake, follow the historic route of Ravenna Creek, which was diverted into a sewer pipe underground as the neighborhood developed. The route travels east along Ravenna Boulevard through Ravenna Park to Union Bay Natural Area on Lake Washington. Once there, cross the eastern side of the University of Washington campus on the Burke-Gilman Trail to finish at public transportation at the UW Link light rail station or Metro bus stop on Pacific Street. Highlights: Pay attention and you’ll see signs of a fairly substantial creek, Williams said. “Today we’re so disconnected from the story of Green Lake and Lake Washington and their relationship.” Ravenna Park now has a flowing stream, thanks to efforts of the Ravenna Creek Alliance. Part of the creek was uncovered in 2006, creating an oasis for the reintroduction of native plants. “You have such a great array of green space through Ravenna Park,” Williams said. 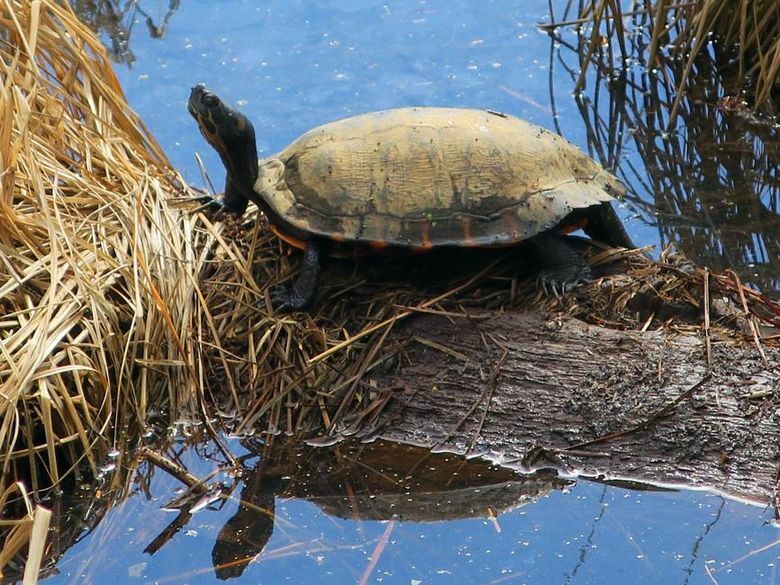 Once at Union Bay Natural Area, enjoy the birdlife from the restored wetlands. Description: Starting at Seward Park’s entrance at Lake Washington Boulevard and Juneau Street, cross the spine of the park eastward through the biggest and oldest trees in Seattle on one of several trails that head that way. 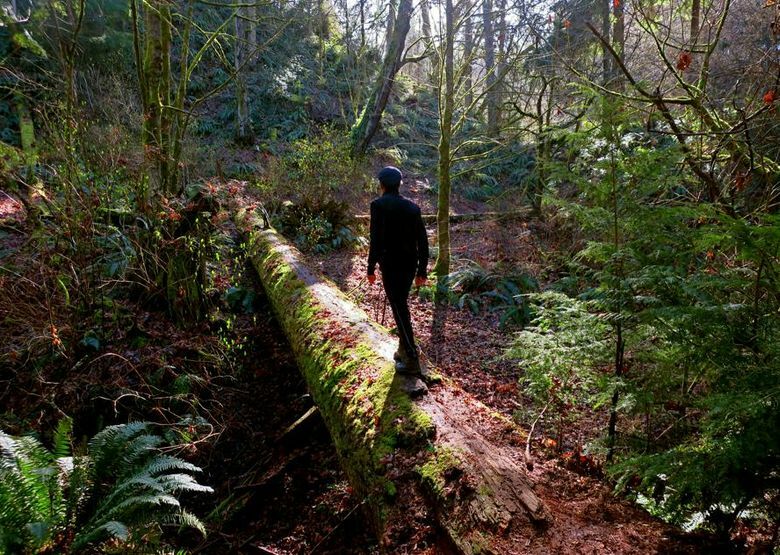 You’ll be immersed in the understory of old-growth forest and eventually emerge onto a scenic recreation path that rings the park along the shores of Lake Washington, with many places to stop and enjoy the views. 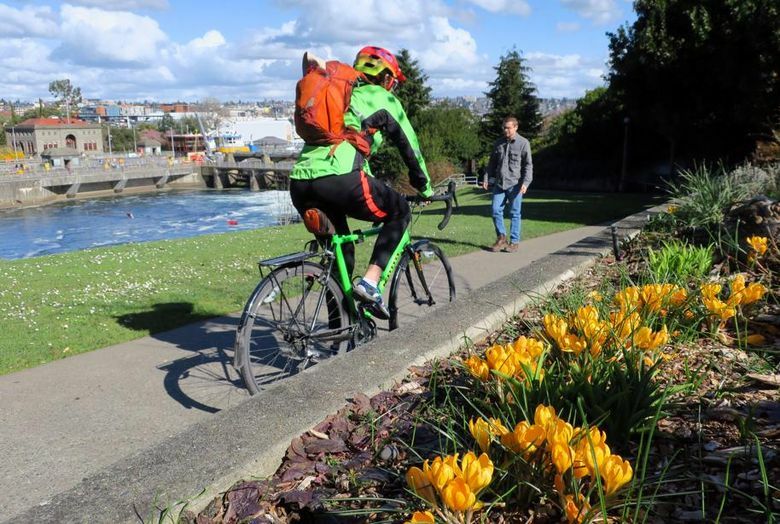 Highlights: “Seward is really two parks in one: a bustling open-air arena of walkers, cyclists, skaters and kayakers along the loop trail, and inland a quiet forest retreat,” Hacking said. The forest feels secluded and wild, but once out on the shoreline, the “view to the Cascades and over Lake Washington is a truly rejuvenating experience,” she said. Route from “Take a Walk: Seattle,” by Sue Muller Hacking. Description: Starting on the Eddie McAbee Entrance at Northwest 100th Place, near Sixth Avenue Northwest, follow the Pipers Creek Trail past Pipers Orchard ever deeper into a wild ravine that reaches the lower park with playfields and access to a scenic beach overlooking Puget Sound and the Olympics. Route from “Seattle Stairway Walks,” by Jake and Cathy Jaramillo (2013, Mountaineers Books). 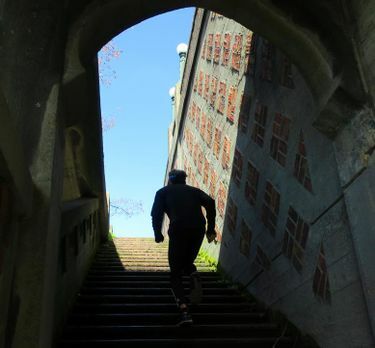 Description: Get your climbing workout in with this crowd-pleasing route that takes you through the most iconic views on Queen Anne Hill. Starting at Galer Street and Sixth Avenue West, climb up and down some of the best stairways on Queen Anne’s western side, take in the neo-gothic beauty of the Wilcox Wall, stop and enjoy the views at Marshall Park and Kerry Park and revel in the architecture of historic homes and gardens. Highlights: “That area has really elegant homes,” Jake Jaramillo said. And the 0.4-mile Wilcox Wall on Eighth Avenue West is best explored on foot on several stairways that can be climbed. While Kerry Park offers the most famous view of the Seattle skyline, it’s often crowded. Jaramillo likes the dramatic views west of Puget Sound and the Olympics from Marshall Park better. “It’s a bit off the beaten path,” he said. Route from “Walking Seattle,” by Clark Humphrey (2011, Wilderness Press). Description: Start at Discovery Park’s east entrance at 36th Avenue West and Government Way. Climb west through forest to the ridge line for sweeping views of Puget Sound and the Olympics at the crest. Then descend through open fields to South Beach, around West Point Lighthouse to North Beach and then back through the forest to West Commodore Way and the Ballard Locks. Exact step-by-step directions for the hikes listed here are found in the four guidebooks listed. If you don’t have the books, try following our general directions. And if you get lost, it’s part of the adventure, right? For those who love stairway workouts, authors Jake and Cathy Jaramillo have several listed on their website: seattlestairwaywalks.com.